Do people really capture their tears in a bottle? Yes, some do. But for most, tear bottles are just symbolic gifts to express deep feelings. Based on feedback, about 10% of our customers do capture their tears. Most people give or use the bottles as a symbolic reminder of love, joy, and remembrance. The tear bottle history is truly a unique tradition and offers a compassionate way to commemorate special moments in life. How do I catch my tears? Capturing tears is quite easy. Remove the cap and hold the rim of the bottle against the side of your nose, about an inch below the corner of your eye. Most teardrops will roll down along the edge of your nose. As they touch the rim of the bottle, the shape of the rim will draw the tears inside. Will my tears discolor or mold over time? Will they evaporate? Possibly. Human tears naturally contain proteins and bacteria. Even in a sterile environment, discoloration may occur. Timeless Traditions™ Victorian and Roma tear bottles use medicinal quality glass bottles and silicone stoppers for a strong seal. To reduce the chance of discoloration, fill the bottle as much as possible to reduce the amount of air. The silicone stopper will prevent almost all evaporation. If you want to preserve the contents of your bottle permanently, you should use a wax seal around the rim. Do not use the Contemporary style tear bottles if you truly wish to capture your tears, as they have a cork stopper in the cap and do not create a good seal. The cap seems stuck, how do I remove it? 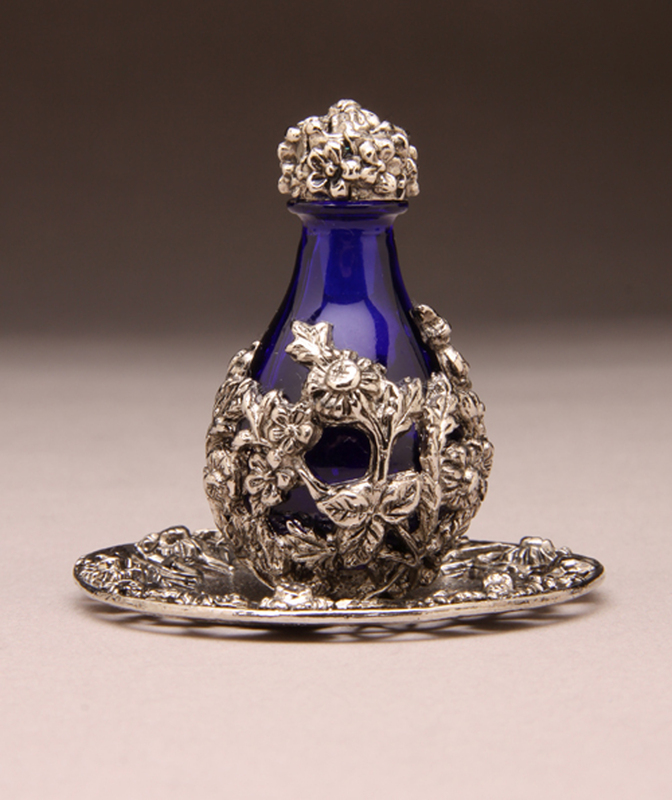 With the Roma and Victorian style tear bottle’s, the top has a very tight fit to protect tears from evaporating. Twisting the cap as you simultaneously pull the lid out of the bottle should remove it fairly easily. You will also need to twist as you re-insert the cap. Do NOT pull a tight cap hard and straight out of the bottle as you could pull the cap and plug apart, be sure to twist the cap as you gently pull it out of the bottle. If you open the bottle frequently, you may need to add a touch of WATER on the vinyl plug to make it slide in and out of the bottle easier. Will my bottle’s metal finish tarnish? 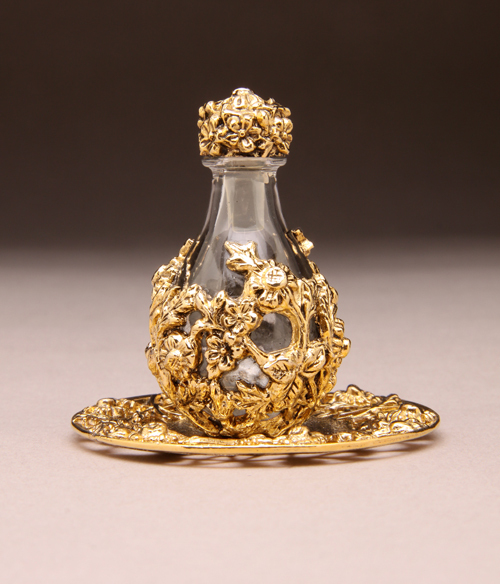 So far, the bottles seem to be very resistant to tarnish. We haven't seen any oxidation on the pewter and gold tear bottles after 5 years or tarnish on the silver either. The manufacturer uses an anti-oxidizing compound to reduce the amount of tarnishing. How can I clean my tear bottle? You should be able to use any cleaning solution designed for fine metals. Chemicals with ammonia, like Windex™, can increase oxidation and damage the bottles. Can I buy in bulk, large quantities, or wholesale? Tear Catcher Gifts™ only sells tear bottles at retail. If you are interested in selling the tear bottles at your own retail store, contact Timeless Traditions™ at (406) 388-2900 or visit their website for more information: www.timelesstraditionsgifts.com. Timeless Traditions designs, creates, and provides us with the exquisite tear bottles offered on our site, all of which are made in the USA. Can I use my tear bottle to save ashes?